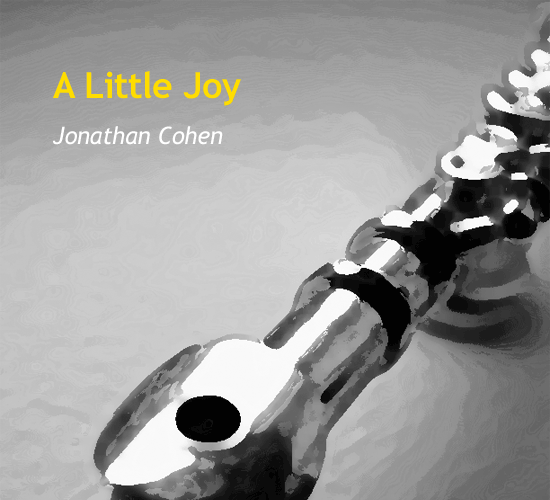 Sometimes music happens simply because it can! 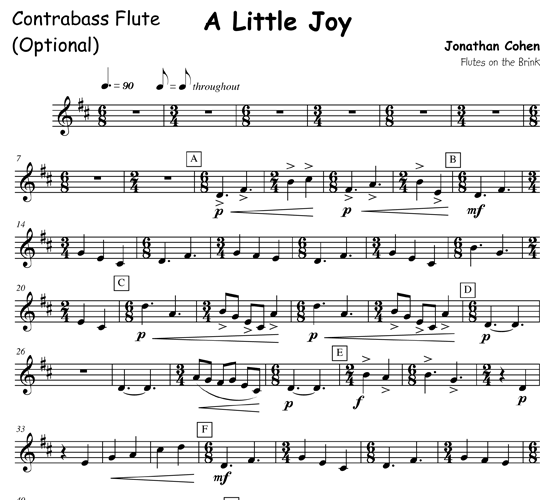 Here is a lighthearted jaunt that could be the perfect concert opener for your next program, or perhaps the encore that leaves everyone with a smile on their faces. 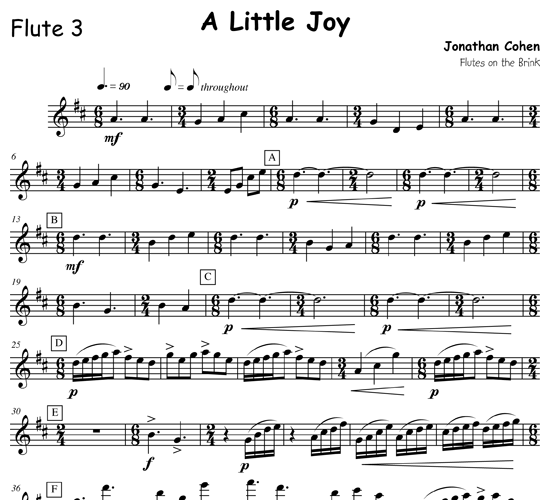 The momentum of this inherently happy tune is rocked along by alternating 3/4 and 6/8 measures. 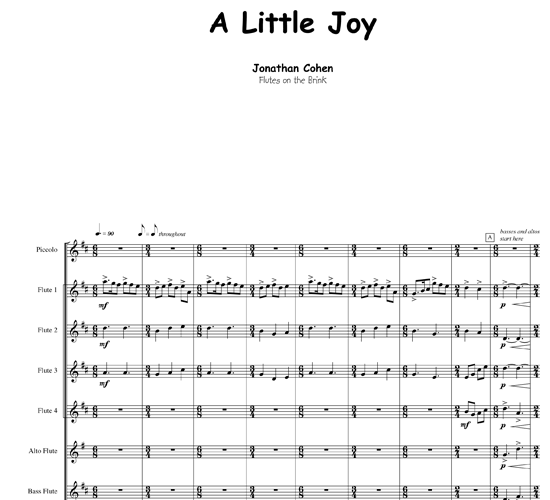 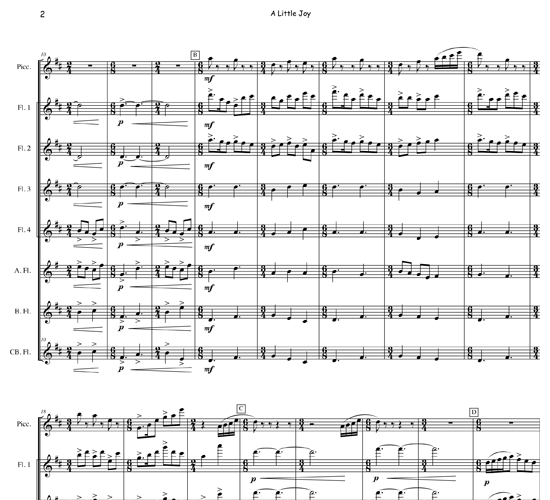 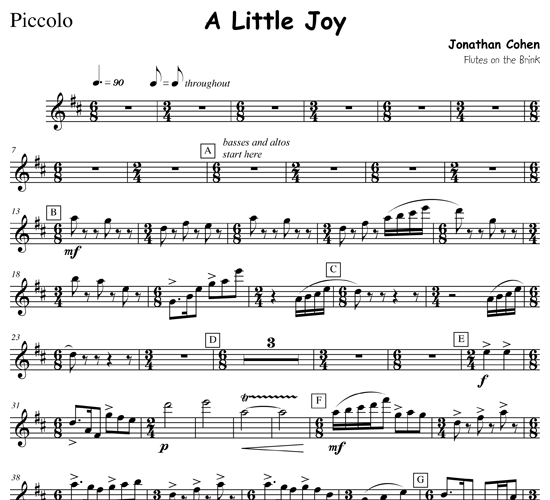 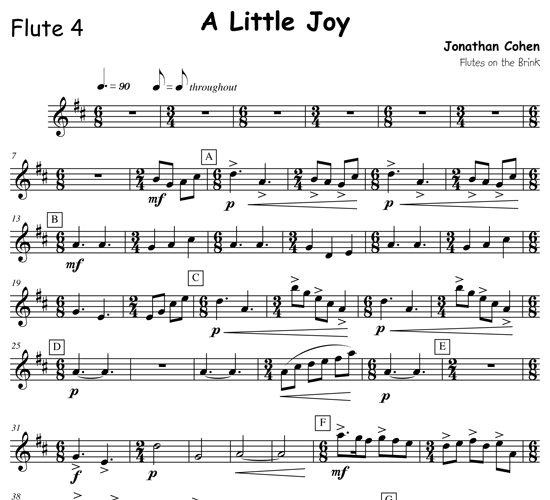 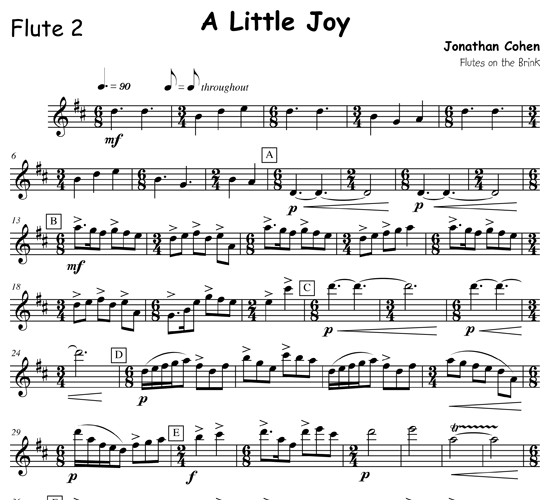 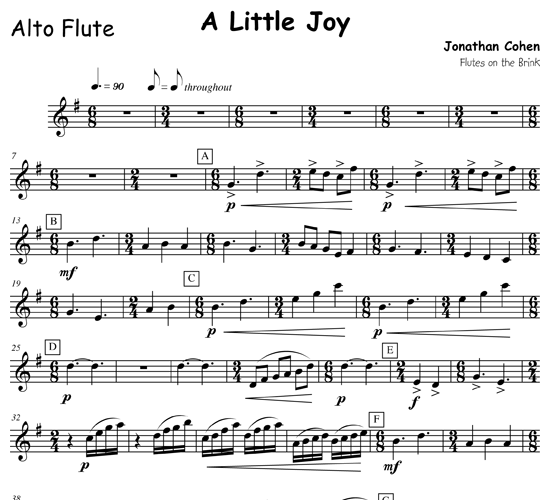 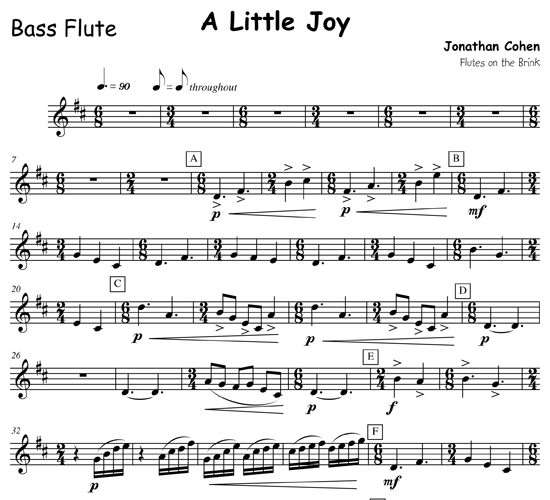 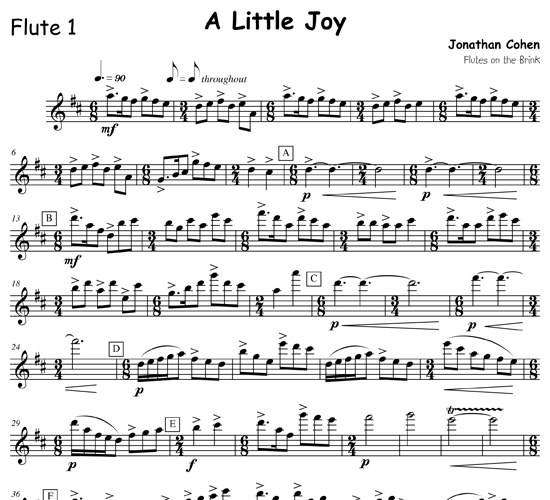 /wp-content/uploads/2011/12/mp3-a-little-joy-by-jonathan-cohen.mp3Performed by Flutes on the Brink.